Biotechnology includes topic about gene and nuclear cloning is a very challenging subject to study at high school. Without proper Media aid, misconception will more likely to occur among students. The use of Inquiry-based Interactive Multimedia was expected to reduce the misconception about cloning process since it is visualized more clearly. 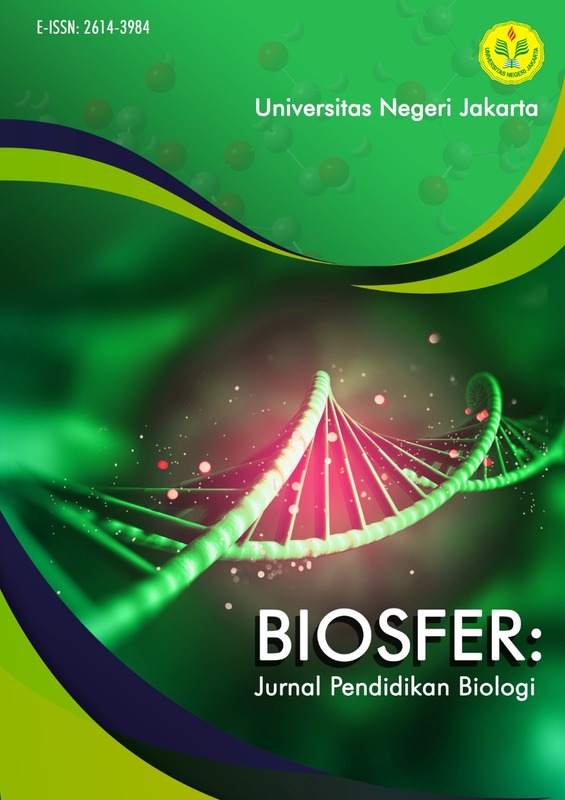 This study was aimed to measure slope misconception of student and to analyze the application of Inquiry-based Interactive Multimedia to minimize student misconception on Biotechnology subject. The research was conducted at MAN 8 Jakarta on May 2012 using a quasi experimental method and pretest-posttest control group design. A total of 40 science students were taken equally from IPA 1 and IPA 2 classes at grade 10 to become experimental and control groups. They were selected by simple random sampling. A test of multiple choice questions with five alternative answers was used as the study instrument. To detect for any misconception, the test result was measured by Certainty of Response Index (CRI). Using this technique, there were 8 % misconception found on the pre-test and 7% on the post-test. As the conclusion, the use of Inquiry-based Interactive Multimedia was effective to minimize student misconception on Biotechnology subject.